The U.S. State Department has recently released their annual report on International Child Abduction. Below is our sixth post in a series here focusing on the twelve countries classified as “demonstrating patterns of noncompliance.” Today’s country is Ecuador. Country Summary: The Hague Abduction Convention has been in force between the United States and Ecuador since 1992. In 2017, Ecuador demonstrated a pattern of noncompliance. 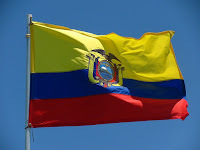 Specifically, Ecuador’s judicial branch and law enforcement authorities regularly fail to implement and comply with the provisions of the Hague Abduction Convention. As a result of this failure, one case (accounting for 13 percent of requests for the return of abducted children under the Convention) remained unresolved for more than 12 months. More specifically, this case has been unresolved for four years and 11 months. Ecuador has been cited since 2015. Initial Inquiries: In 2017, the Department received two initial inquiries from parents regarding possible abductions to Ecuador where no completed applications were submitted to the Department. Significant Developments: The Ecuadorian Central Authority moved from the Ministry of Economic and Social Inclusion to the Ministry of Justice in June 2017, and a new director was appointed in mid-November 2017. Central Authority: While the United States and the Ecuadorian Central Authorities (ECA) have a cooperative relationship, delays in communication about actions to resolve Convention cases are an area of continuing concern. The Department encounters occasional delays in receiving responses from the ECA. However, we are encouraged by the ECA’s participation in bimonthly video conferences with the Department. Location: Ecuador demonstrated a pattern of noncompliance with the Convention as a result of failure by the competent authorities to take appropriate steps to locate children after a Convention application was filed. As a result, there is one case (accounting for 100 percent of the unresolved cases) that has been pending for more than 12 months where law enforcement has failed to locate the child, leading to significant delays in initiating legal proceedings. The average time to locate a child was 59 days. Judicial Authorities: The Ecuadorian judicial authorities demonstrated a pattern of noncompliance with the Convention. Specifically, there were delays in judicial authorities deciding cases and some decisions raised concerns. Enforcement: Decisions in Convention cases in Ecuador were generally enforced in a timely manner. The Department was encouraged when law enforcement promptly enforced the one court-ordered return this year, overseeing the child's departure from Ecuador. Department Recommendations: The Department will continue intense engagement with the Ecuadorian authorities to address issues of concern and expand public diplomacy activities related to the resolution of cases. Access: In 2017, the U.S. Central Authority had one open access case under the Convention in Ecuador. This case was opened in 2017. This case has been filed with the Ecuadorian Central Authority. This case was initially filed in 2017. By December 31, 2017, this case remained open. No cases have been pending with the Ecuadorian authorities for more than 12 months.